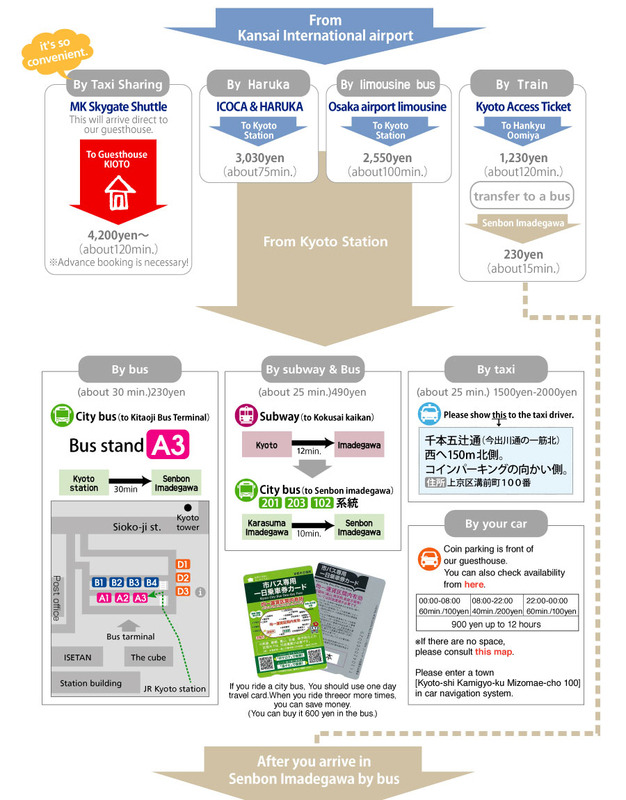 「Please note that the Kyoto bus and city bus is different. The following contents are city buses. 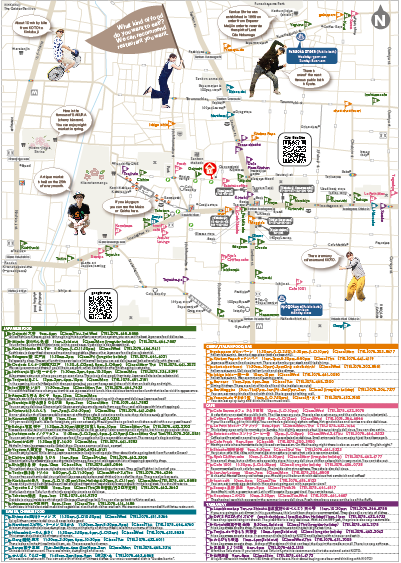 Please check the directions to our guesthouse from the bus stop when you got off. It is helpful to aim the "Senbon Shakado". There are a lot of information sign because it is a temple of national treasure. 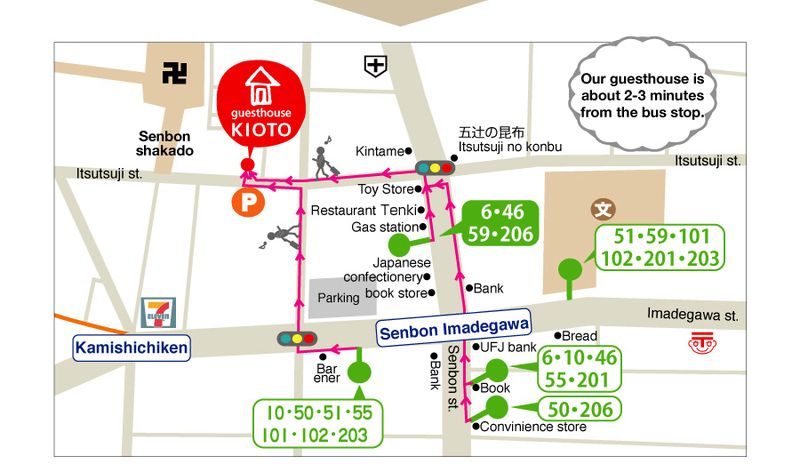 Our guesthouse is close to the Senbon Shakado. 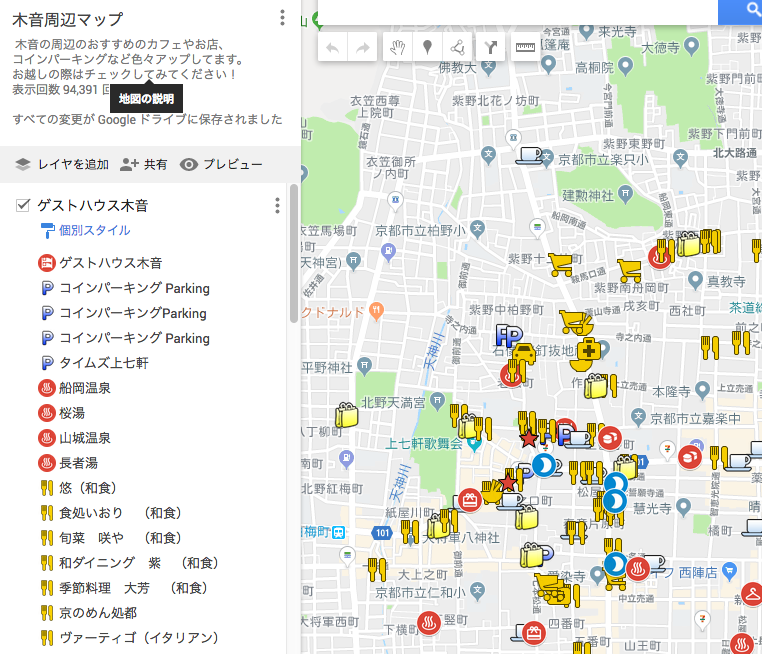 We introduce recommendation spot near guesthouse on google map. You can smoothly transfer of the bus if you use it.